Vallone’s at Gateway Memorial City is one of Houston’s most versatile restaurants in its ability to offer a casual dining experience in an elegant setting and deliver familiar fare with a slight tweaks of sophistication that excite “foodies” but do not alienate more conservative diners. 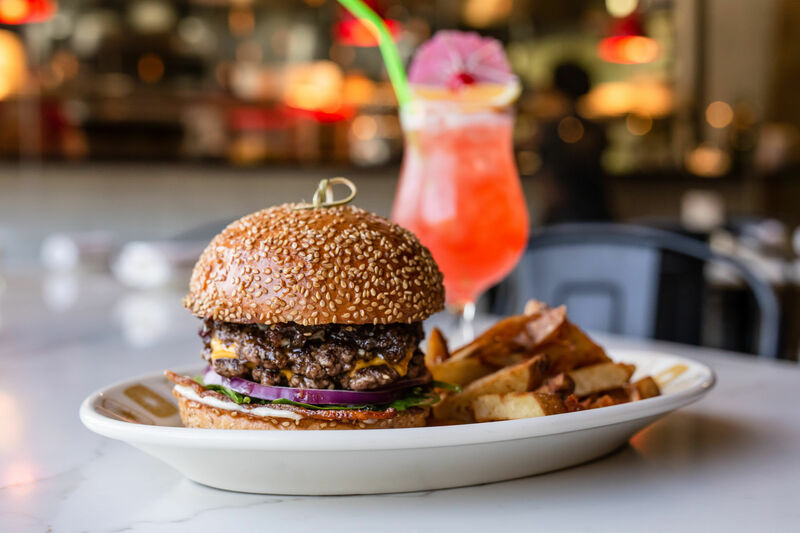 If you pop into Vallone’s for an impromptu supper, brunch or happy hour date, the food will be terrific and the service par excellence. Despite this, you will still ultimately miss out. Why? 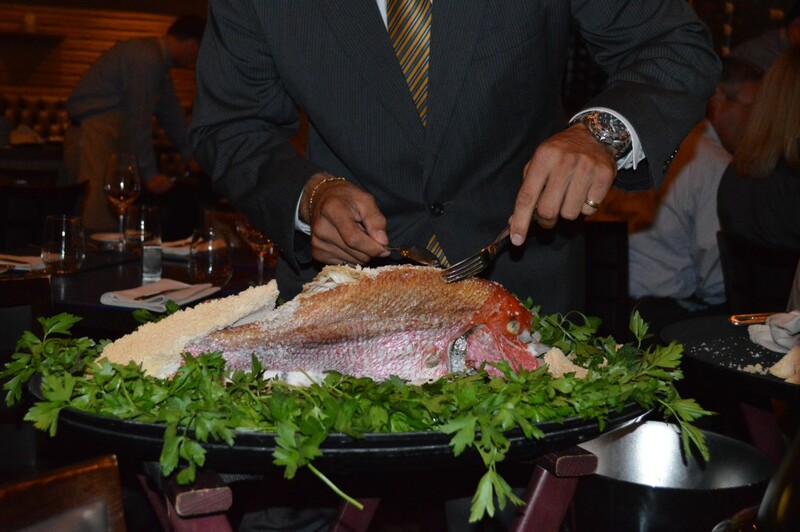 Because you won’t have the opportunity to sample one of Vallone’s most magnificent dishes in terms of flavors and presentation: the salt-crusted gulf red snapper. But now you’ve been warned, so plan just a wee bit in advance (only 24 hours notice is required) and look forward to this showstopper. First, of course, enjoy a few opening acts, beginning with a Di Pere cocktail, a unique liquid collaboration between blanco tequila, Marolo liqueur (made with grappa and chamomile) and peach. It’s a serious drink with a strong taste of stone fruit that screams summer. 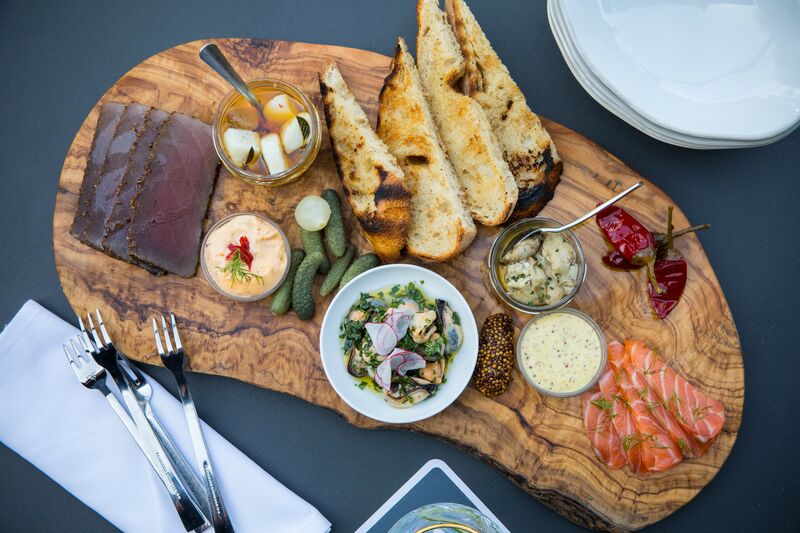 Standout shareable appetizers at Vallone’s include the miniature tuna tacos, so cute in stature that they look as if they emerged from the kitchen of a doll’s house. Don’t let that prevent you, however, from putting a whole one in your mouth and savoring the tender tuna, nutty sesames seeds and rich wasabi cream sauce. Then, for a perfect “surf and turf” balance, pair the tacos with an order of chicken fried quail laced with cheesy scrambled eggs and honey. It’s possibly the best comfort food “brinner” dish I’ve tasted in Houston. 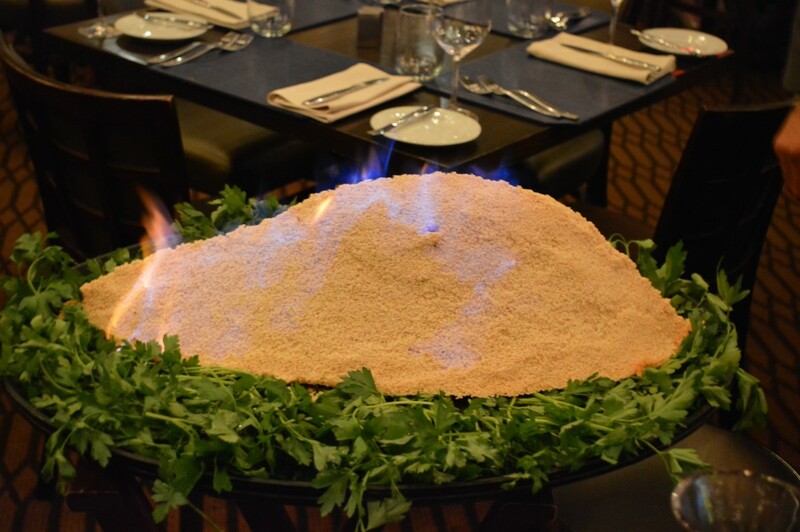 …the salt-crusted gulf snapper, served flaming tableside in a stately manner that makes you feel like a queen at a royal banquet. No “carving” needed, by the way, as the 24-hour preparation gives rise to soft flaky flesh that only needs a flick of the fork to fall of the bone. 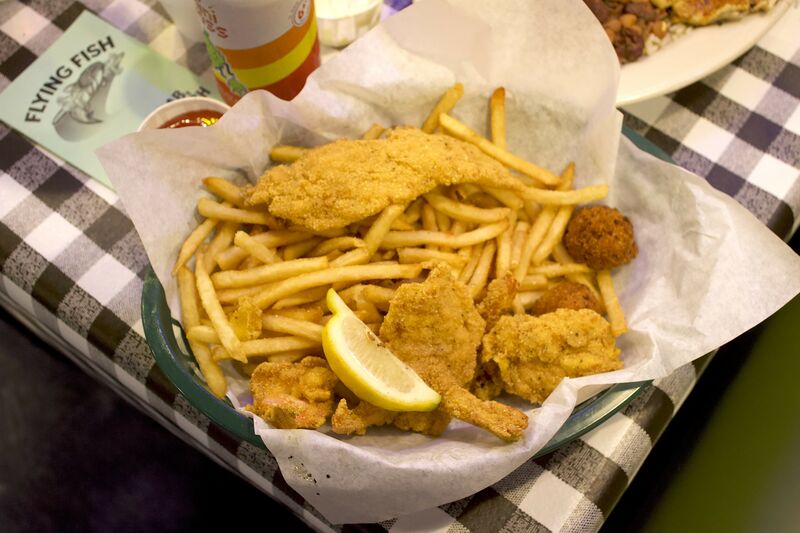 Savory, with a residual smokiness, the fish has a texture akin to room temperature butter. It was so divine I wanted to eat it right off the platter but refrained for the sake of maintaining a modicum of decorum. Although I shared the snapper with friends, I was less generous with the monstrous wedge of peanut butter cake, whose strata of caramel, peanut butter mousse, and marshmallow were wonderful but overwhelming after a few bites. That’s what “doggie bags” are for, especially when you live in a canine-free household, and therefore have to eat all the leftovers yourself. Which I did, while marking my calendar for a return visit to Vallone’s with a note to call ahead for the snapper.